Long Island, NY - March 1, 2018 - Senator John E. Brooks and Assemblywoman Christine Pellegrino today called for passage of their legislation (S7437/A9046) which directs fees from prearranged trip services, such as Uber and Lyft, toward improvements in local transit – including the Long Island Railroad (LIRR) and local buses. It is estimated that this legislation will give an additional $24 million to localities and municipalities to improve local transit systems. 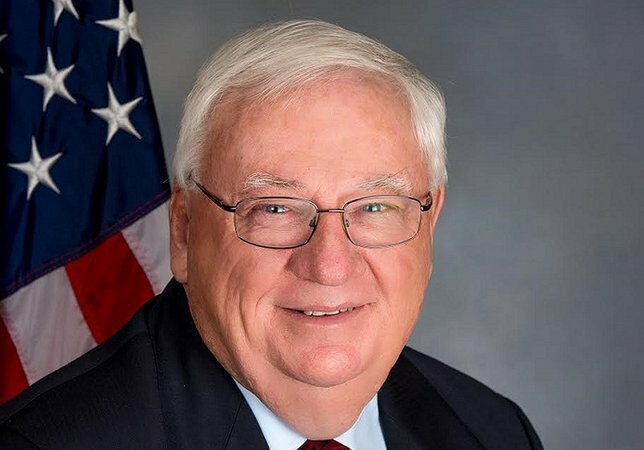 "This legislation is a common sense approach to restoring funding to our public transportation and ensuring Long Island is getting its fair share of revenue. Public transportation aids our local economy, eases congestion on our roads, provides necessary services to our seniors, protects our environment and is vital to our communities”, Assemblywoman Christine Pellegrino said. The bill redirects an existing four-percent assessment fee on all transportation network companies (TNC) from the General Fund back to local transit operating accounts that will help localities strengthen and improve existing local transit systems. The legislation only applies to TNC fees generated outside of the City of New York and does not impose any new taxes or fees. Further, it includes a provision that prevents counties or municipalities from using collected TNC funds to reduce their annual operating payments to local transit systems, ensuring that this additional funding is not offset by reduced state or local assistance. Senator Brooks added, “The bottom line is: money spent on Long Island should stay on Long Island." The legislation can be viewed here: https://www.nysenate.gov/legislation/bills/2017/S7437. Subject: LongIsland.com - Your Name sent you Article details of "Brooks, Pellegrino Advocate Bill To Provide Additional $24 Million To Local Public Transportation"